I get requests all the time from people needing help building their pagerank. My response is always the same. Build quality content to generate quality related backlinks and then repeat. It’s really simple everyone. Just like the real world the cyber world takes hard work, dedication, a good idea, and some luck. That really sums it up. Assuming you have tons of great “original” content. Then the next logical step would be to get some High PR Backlinks. Higher PR is earned through links from higher pr sites. Check out the PR Algorithm. 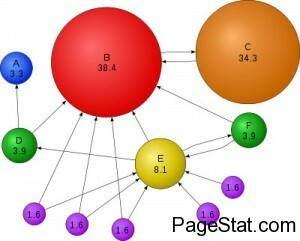 If you keep doing that long enough you will gradually build your pagerank and traffic, just make sure to stick with it. Rome wasn’t built in one day.